Eva Bartlett, reporting from Venezuela, is a Canadian freelance journalist with extensive experience in the Gaza Strip and Syria. See her website, In Gaza, for more of her work, and see her page on Zero Anthropology for her other articles on this site. This report was originally published on RT.com on March 29, 2019. Venezuela is Americaʼs current target for mass destabilization in the hope of installing a puppet government. America has for years been waging an economic war against Venezuela, including debilitating sanctions which have dramatically affected the stateʼs ability to purchase medicines, and even mundane replacement parts needed in buses, ambulances, etc. Alongside the economic war there has been a steady propaganda war, but in recent months, the propaganda has escalated dramatically, from corporate media to US political figures. Venezuela is described as “the country pilots are refusing to fly to,” as per a March 18, 2019, AP article on American Airlines cancelling all flights to Venezuela, containing scary phrases like “safety concerns” and “civil unrest.” On March 9, American cancelled my Miami-Caracas flight on the basis that there wasn’t enough electricity to land at Caracas airport. Strangely enough, the Copa flight I took the following day after an overnight in Panama had no problem landing, nor did Copa flights on the day of my own cancelled flight, according to Copa staff. The cancellation of flights to Venezuela then lends legitimacy to the shrill tweets of Marco Rubio, Mike Pence, John Bolton, and the previously unknown non-president, Juan Guaido. 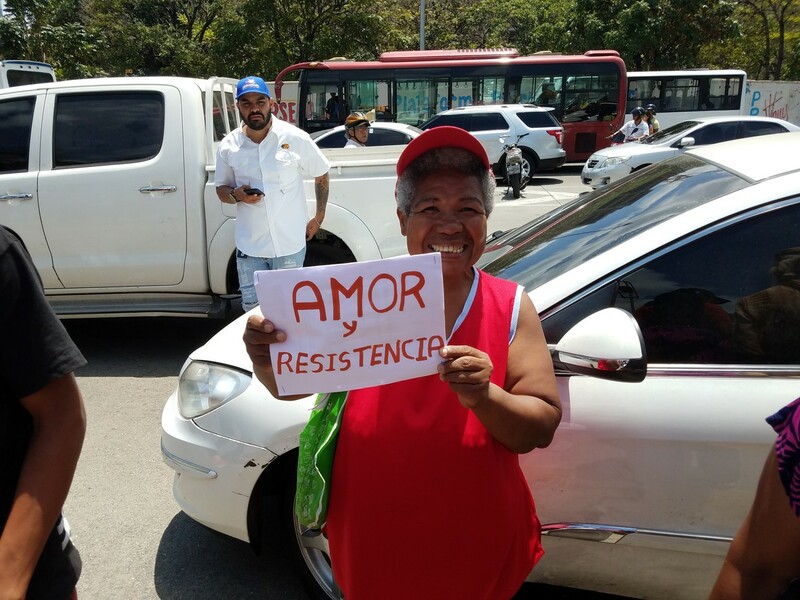 I’ve been in various areas of Caracas since March 10, and I’ve seen none of this “civil unrest” that corporate media are talking about. 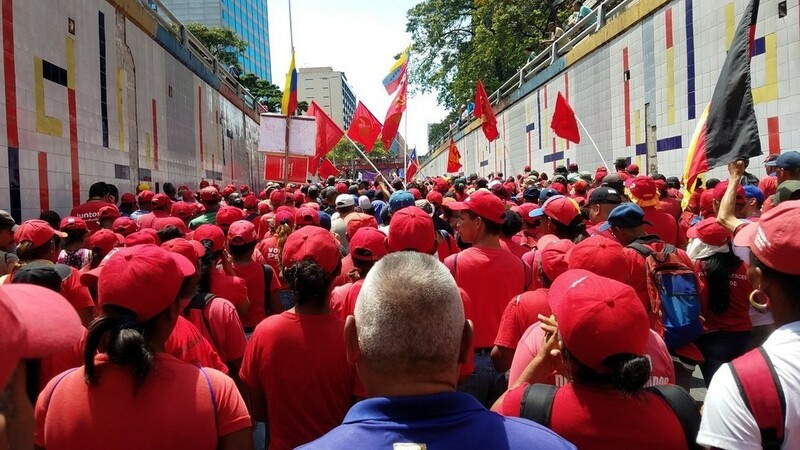 I’ve walked around Caracas, usually on my own, and haven’t experienced the worry for my safety corporate media is telling Westerners they should suddenly feel more than normal in Venezuela. In fact, I see little difference from the Venezuela I knew in 2010 when I spent half a year here, except the hyperinflation is absurdly worse and in my absence I missed the years of extreme right-wing opposition supporters street violence – a benign term for the guarimbas which saw opposition supporters burning people alive, among other violence against people and security. “At the time of the National Constituent Assembly elections, July 30, 2017, the major airlines – including Air France, United, American, pretty much all of the European airlines – suspended their flights one day before the elections, citing “security reasons.” Most of the services were reopened about four days after the elections, some of them two weeks after the elections”. So were there “security concerns”? I asked Paul. “This was towards the end of street violence (guarimbas) that had been going on for six months in the country. Why didn’t they suspend their activity six months before, two months before? They did it the day before the elections, clearly trying to influence votes and the way that people see their country internationally. There were no extra security concerns that day than any day over the last 6 months. So, there was really no justification for it. And it caused massive problems on the ground, around elections”. On February 23, a month after a previously largely-unknown, US-backed man named Juán Guaidó claimed he was the president of Venezuela, there was a short-lived period of instability at the Venezuelan border with Colombia, when America insisted on forcing aid trucks into Venezuela. Aid trucks that burned that day were the result of attacks of masked young men on the Colombian side, and not from the Venezuelan military as western corporate media and Marco Rubio would have you believe. Less-known is that the “aid trucks” contained very odd humanitarian aid, including nails and wire. Were their fake concerns genuine, the US could have done what Cuba, China, and Russia, among others, have done and send the aid through appropriate channels, like the UN and the Red Cross. America’s attempt to ram trucks through Venezuela’s border has been revealed as the cheap propaganda stunt that it was. A couple of weeks later, suddenly there was a very timely country-wide power outage for six days, affecting most things in Venezuelan infrastructure and life, a reality that Palestinians in Gaza have been living since at least 2006 when Israel bombed their sole power plant, never since allowing them to import the parts needed to adequately repair it. When I lived in Gaza, I grew accustomed to outages of 16-22 hours a day, for months on end. Near-daily sustained 18 plus hour power outages continue in Gaza, but that’s not something the regime-change squad were or are outraged about. At the Fabricio Ojeda commune, in Catia—a western Caracas barrio of over 1 million people—residents spoke of the 17 tons of produce they generated a few years ago, then sold in the community at prices 30-50% lower than the average market price. One of the commune leaders spoke of raising rabbits as an affordable, and easy to maintain, source of protein. “Weʼre trying to achieve self sustainability of this produce, for the community. This is what weʼre doing against the economic war,” he said. I’ve gone into a number of smaller and large supermarkets in the lower middle-class areas of Caracas, and in it’s upper middle-class regions of Chacao and Altimira. There is food, including luxury items, which Venezuela’s poor can’t afford. And in some stores there are said to be empty shelves, although I haven’t yet seen this. The policies of private companies —including the largest, Polar, whose CEO opposition supporters wanted him to run against Maduro in the last elections – to hoard goods and create false shortages is well known. That said, this theme that there is no food is one continually pumped by Western corporate media, along with the “humanitarian crisis” claim. To help the poorest, the government initiated a food box delivery program known by its acronym, CLAP, wherein organized communities distribute government subsidized food to 6 million of Venezuela’s poorest families. The system is not perfect, and I’ve heard complaints of boxes being late in reaching some communities. However, I’ve been told—including by a woman I interviewed yesterday who herself works in CLAP distribution—that problems lie in corruption on a local level, individuals in communities not distributing fairly or evenly. The US has been forcibly exerting its foreign influence over Venezuela for years, to the detriment of the Venezuelan people it crocodile-tear purports to care about. Most Western corporate media do not mention the manifold adverse effects of the immoral sanctions imposed on Venezuela. At the end of January, UN human rights expert Idriss Jazairy denounced the sanctions, clearly noting they are, “aimed at changing the government of Venezuela,” and that, “Coercion, whether military or economic, must never be used to seek a change in government in a sovereign state.” On top of this, America recently withheld US$5 billion intended for the purchase of medicines and raw materials used in medical production, Venezuelanalysis reported, after already freezing numerous Venezuelan assets, apparently holding them for their groomed puppet would-be president, Juan Guaido. We’re seeing Syria (and Libya, Iraq…) all over again. The demonization of the leadership of a country America wants to dominate. The absurd rhetoric steaming daily from corporate owned media, pretty much in chorus. The troll army ready to attack with an energetic vitriol on social media anyone who dares to present a non-Imperialist perspective. And most worrisome, the acts of terrorism intended to hurt the people and incriminate the government. Sadly, it seems the United States is ready to stoop to the same dirty tactics it and allies used against Syria over the past eight years: backing and collaborating with terrorists to attack the state. Indeed, last night while trying to finish this article, the power cut and remains off in many areas of the country. Earlier this week, Information and Communications Minister Jorge Rodriguez tweeted that the cause of this recent outage was an attack at the Guri Hydro complex, Venezuela’s central hydroelectric power plant and transmission area. By today, electricity has partially been restored to Caracas. Great work as always, Eva. I have a piece coming out in Dissident Voice and elsewhere, around Daniel Shea’s life and his contributions to the delegation that went to Venezuela in an act of love, ground-truthing and speaking truth to the perverted power of US (and of its vassal states). Your work should be in the hands of those masters of war and propaganda — US officials, US corporations, US politicians and US leaders in academia and the media. Alas, though, those great movers and shakers in the US who try to control the narrative still have that moldy and fish scale-encrusted LA Times, NYT, Washington Post in their hands all smeared up with guts as their papers of record. Never mind where they get their on-line and cable news from — all propagating lies and a lead up to another war, more coups. Thanks again, Eva, for your work.